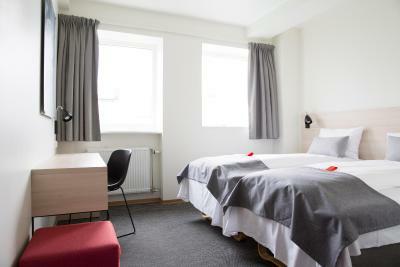 Lock in a great price for Citybox Oslo – rated 8.4 by recent guests! The location was about as good as you can get. 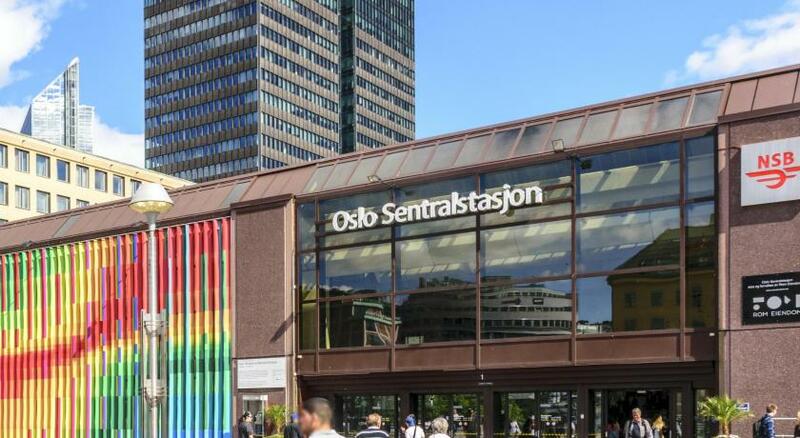 It’s roght next to the Central Station and walking distance from many of the key locations. The staff were friendly when called upon, but check-in and check-out were through an automated machine. More efficient or less efficient? Depends what you think. Great location to City Center! 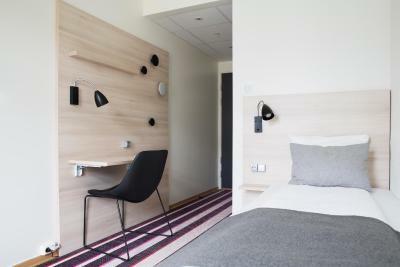 The hotel is very minimalistic, but we didn't mind since we were only in the room to sleep. There is a cute cafe connected to lobby, with great coffee! The rooms were very clean, but they do not do housekeeping unless you have an extended stay. The location is great. Check-in and check-out process is very smooth. Location was very good, nearby the train! Nice coffee shop on the corner and a lot of shops nearby. Rooms are clean. Clean, minimalist but comfortable. No frills but not budget. Everything worked, amenities were available if needed. Beds/bedding was clean and comfortable, shower was hot, it was a quiet building. Tram was right outside the door! This was actually a surprisingly pleasant experience. 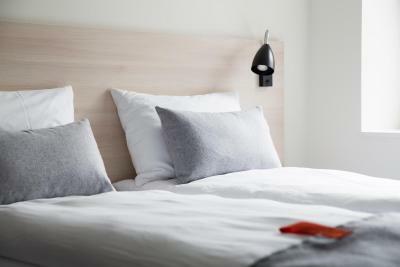 The hotel has basically removed traditional staff roles which makes the whole experience even more effortless and seamless, while at the same time enabling guests to have the best prices. The check-in and check-out processes with the machines were incredibly efficient - much better than any staff can provide. This seems to be the future of the hospitality industry. 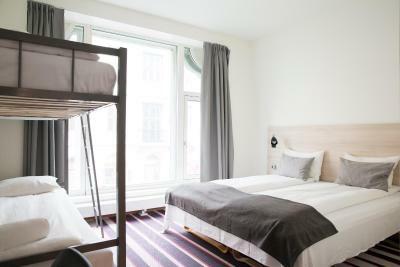 Furthermore, the hotel was located right at Skippergata, within a few minutes walk from the opera house, the central station, and many nearby restaurants. Facilities were quite new and rooms were clean. Hopefully the hotel can continue this concept, which is a great benefit in such an expensive city. 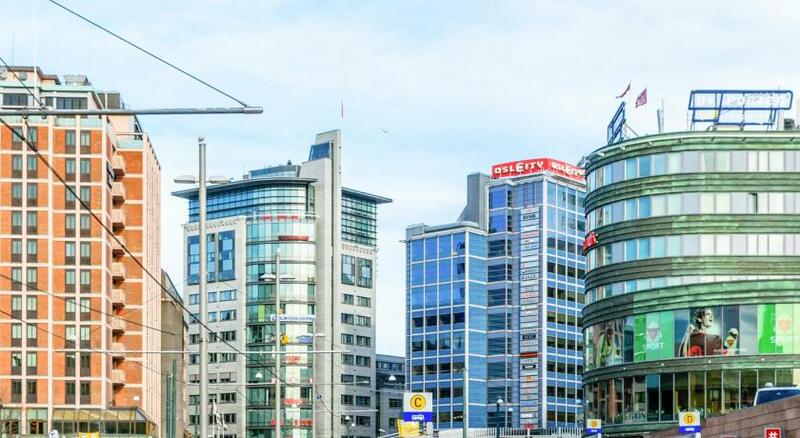 Citybox Oslo This rating is a reflection of how the property compares to the industry standard when it comes to price, facilities and services available. It's based on a self-evaluation by the property. Use this rating to help choose your stay! 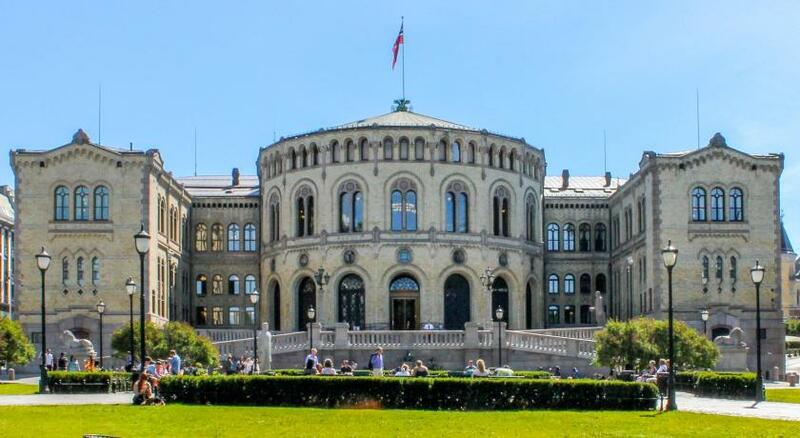 One of our best sellers in Oslo! 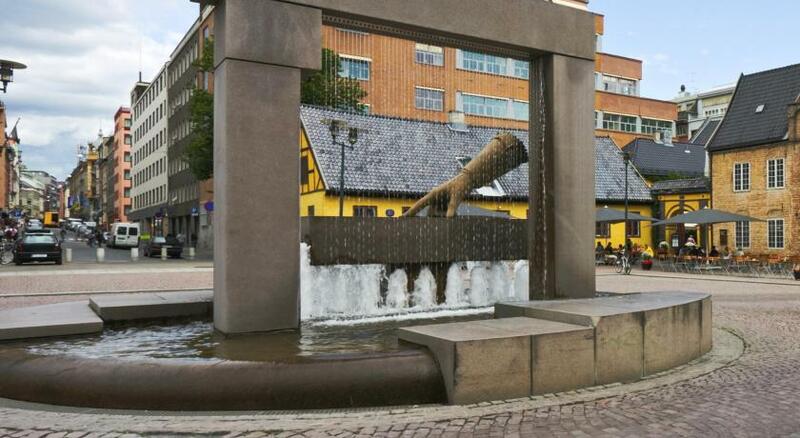 This budget hotel is 800 feet from Oslo Central Train Station. 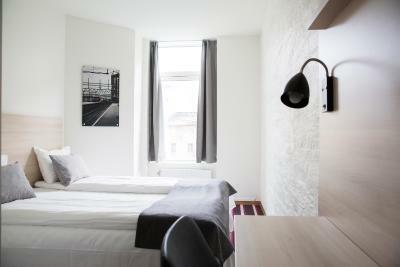 It has brightly decorated rooms with free Wi-Fi access. 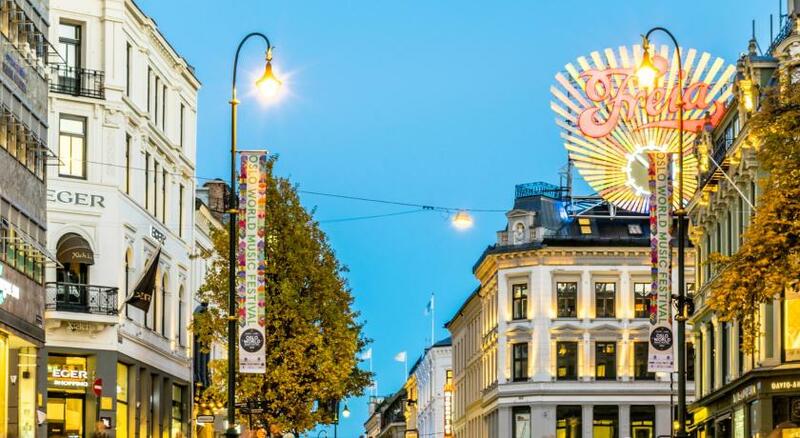 Karl Johans gate shopping street is only 500 feet away. 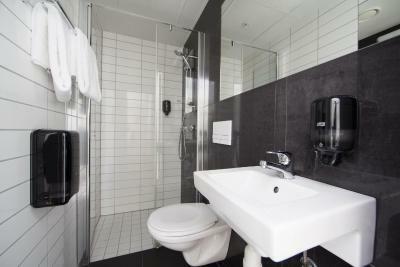 All rooms at Citybox Oslo include a private bathroom with a shower. Each room has an armchair and a work desk. Some include a sitting area. Guests can also relax in the seating areas of the TV lounge. Internet computers are available for guests' use. 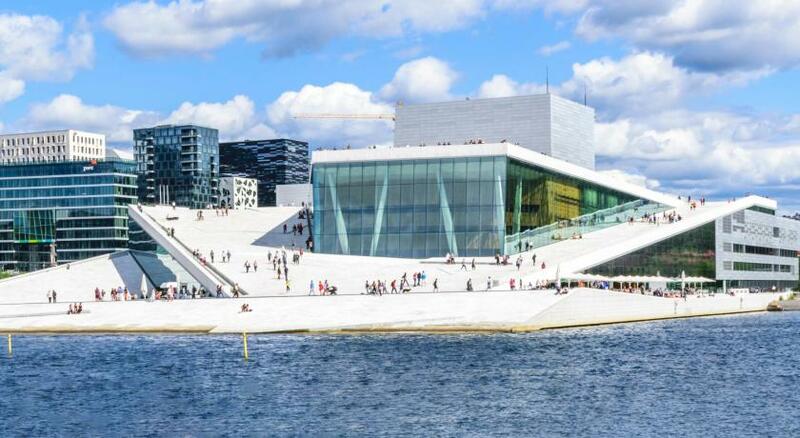 Oslo Opera House is a 5-minute walk away. 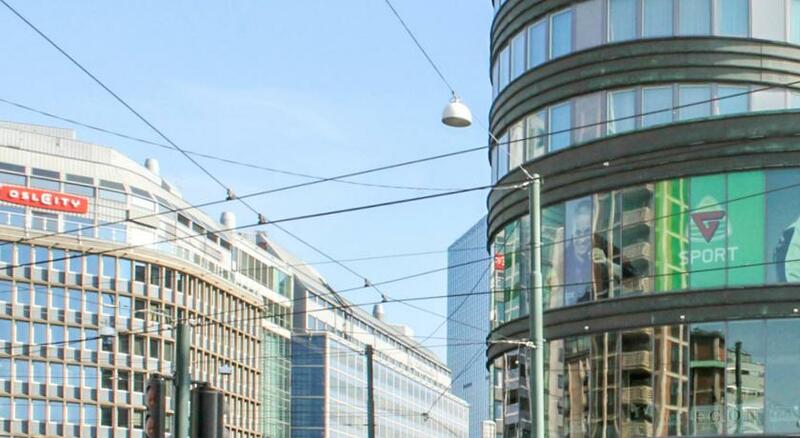 The Royal Palace and the nightlife of Aker Brygge are within just over half a mile of the hotel. These rightly decorated rooms feature a work desk and a private bathroom with shower. Some have a seating area. Extra beds cannot be accommodated in this room. Guests can request for balcony, subject to availability. 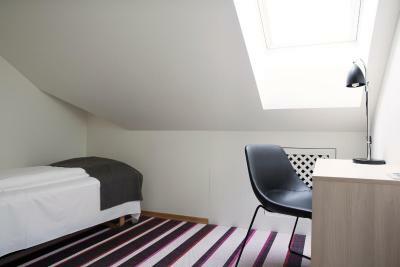 Brightly decorated room with a work desk and a private bathroom with shower. Some have a sitting area. 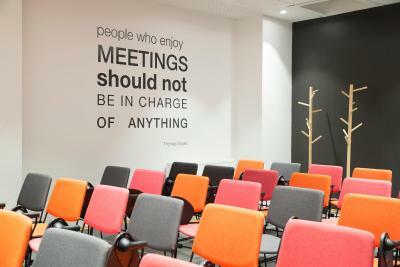 House Rules Citybox Oslo takes special requests – add in the next step! 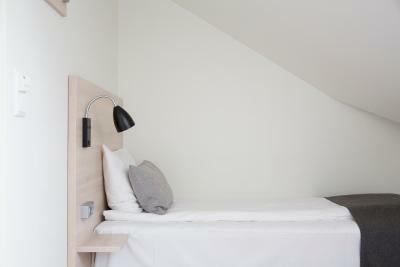 One child under 2 years is charged NOK 150 per person per night in a crib. 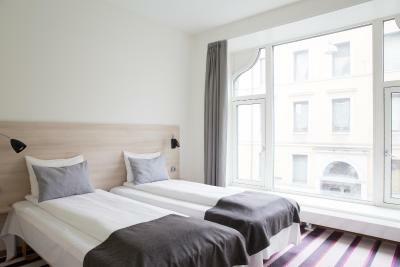 Weekly cleaning is included in the room rate, however further cleaning can be arranged at an additional cost. The rooms lived up to the hotel’s name. They were little more than boxes with beds. No closet, no tv, no extra space for a desk. Maybe this is to be expected if I had done a bit more reading on the place? You don’t have to see any staff. Because everything is prepared very well when you check in. But if you ask them something, they’re very nice and helpful and always smiling. Very simple service, but good enough. Very clean and cozy room. Near the Oslo S station, and tram station. Very cozy room. When I asked a staff to borrow a hairdryer, he was very nice and kind. And he told me “if you need our helps, please let us know. We’re very glad if we can help you” with beautiful smile! The bathroom is a bit small and no ventilation in the bathroom. 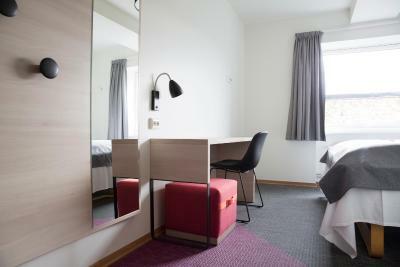 The cleaniness of the room and the friendliness of the staff. The shower drain was so clogged that within 60 seconds, half the bathroom was flooded. It’s next to a small club. No hairdresser in the room, one has to request it. There is a tram stop just outside the hotel, which means a noisy night for you. Bed is very comfy and hotel is very well located. Check in and out are simple and easy. A cama é super confortavel Local tranquilo. 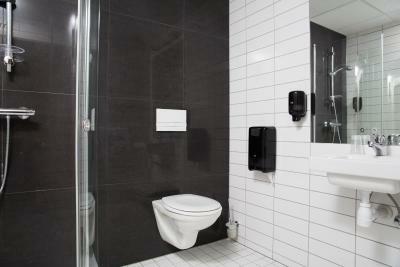 - toilet / shower room is very slippery when wet. 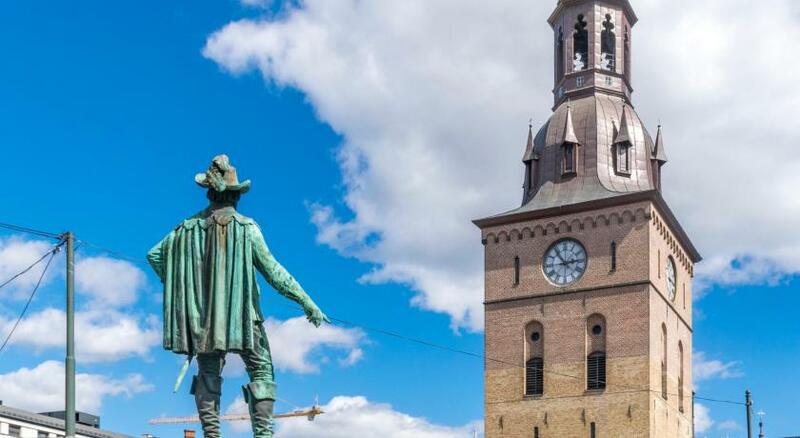 Great location, the hotel is only two minutes' walk from the central station, that means you can get to the aiport in 30-45 minutes. There is a tram stop literally in front of the main entrance, you can get easily to anywhere. The rooms are clean and comfortable. The staff replied to all of my questions very quickly and they were very helpful. If you'd like to stay in a cozy but purse friendly place I'd very recommend it. Very small room for 2 person and limited space to put 2 luggage in their room. 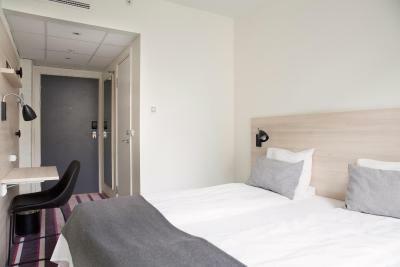 Good location very near to the train station and tram station is in front the hotel.